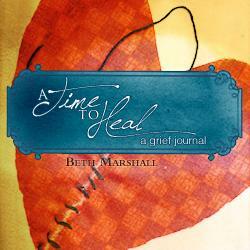 A Time to Heal, a grief journal is beautiful place to write and remember your loved one. The hardcover journal can become a cherished keepsake for photos, letters and stories too important to be forgotten. "The Lord is close to the broken hearted, and saves those who are crushed in spirit." For hospice providers, funeral homes and churches, please contact us at [email protected] for volume discount pricing.